YOU GUYS. 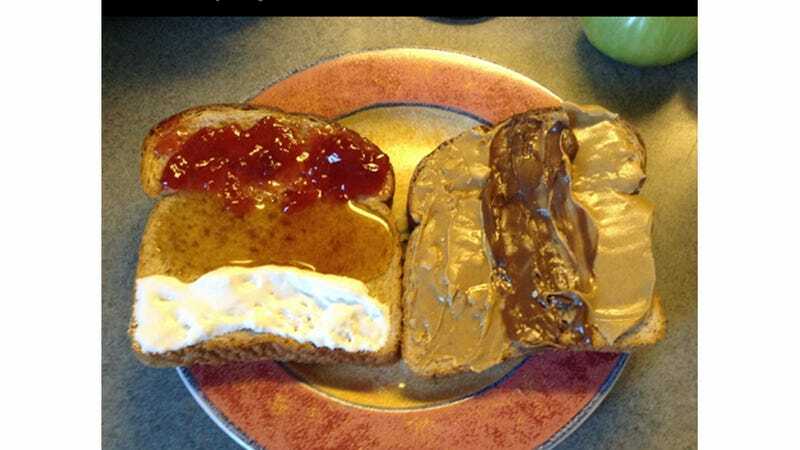 This is a strawberry jam, Honey, Marshmallow fluff, crunchy peanut butter, Nutella, creamy peanut butter sandwich. And it's in rows and columns so EVERY BITE IS AN ORIGINAL TASTE SENSATION.